3. Improve our Quality of Life. Unless it does anyone of the above 3, we will not buy the product. Thus what you buy is what we would ourselves buy in the first place. 2. When we check out a product, we consider the technical information available from the manufacturer. Sometimes many manufacturers who make great products do NOT always write good actionable user manuals. So sometimes we sit down to write user manuals in simple English for the eventual users. We are essentially technocrats with over 2 decades of experience in Computers and Electronics. 3. We are passionate about the complete process - from procuring the products, to the packaging and eventually to the delivery. You will be happy to note that we process your orders as soon as we get them - within a few hours. 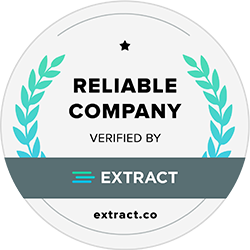 Alchemy Media Marketing has been certified to be a reliable company by the prestigious Extract.co.